Less than one month ago, the Toy Like Me Facebook group laid down the gauntlet. 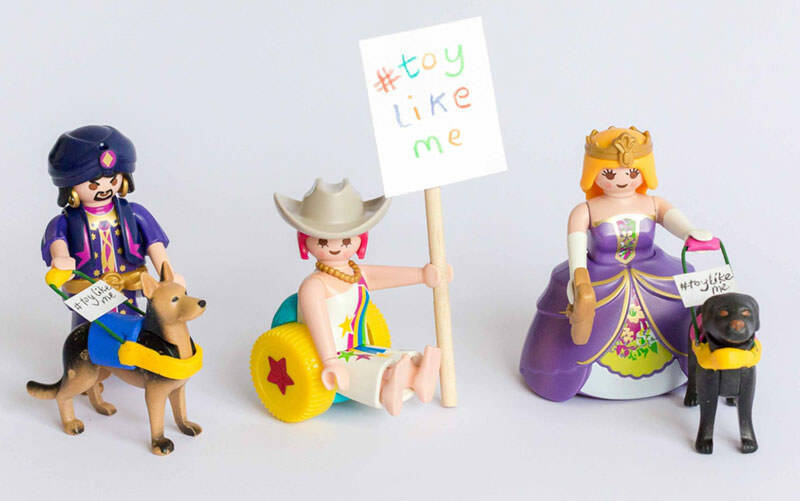 Launched by a band of parents in the U.K., #ToyLikeMe issued a shout-out to toy manufactures: Make toys that our children—and the more than 150 million children with disabilities worldwide—can relate to. "If toys are designed to educate us about the world around us, shouldn't their makers be working to nurture disabled kids' self-confidence rather than impose unrealistic ideals they cannot aspire to?" they said on Facebook, urging parents to post letters from their children and reach out to the movers and shakers in the toy industry. What followed was an avalanche of support. Enterprising parents posted images of the dolls and toys they had given home makeovers in an effort to mirror the disabilities in their own children. 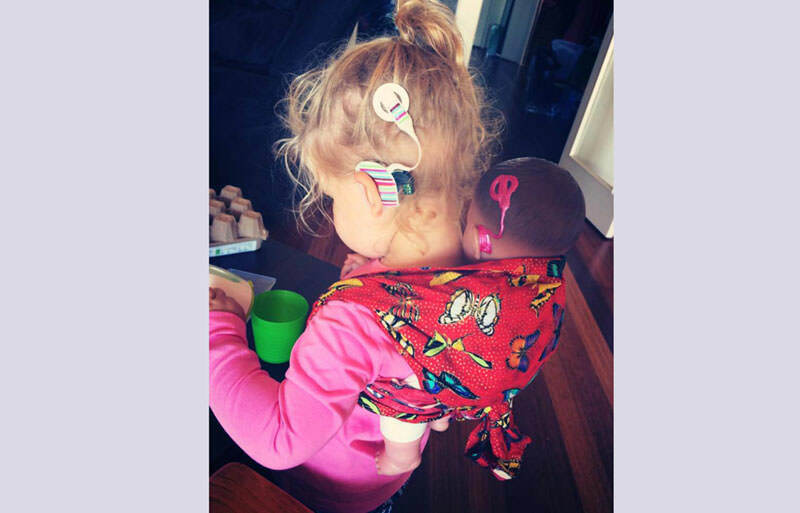 Cochlear implants were added to the dolls of little girls with hearing issues; canine stuffies became assistance dogs; original appendages were exchanged for toy prosthetics. 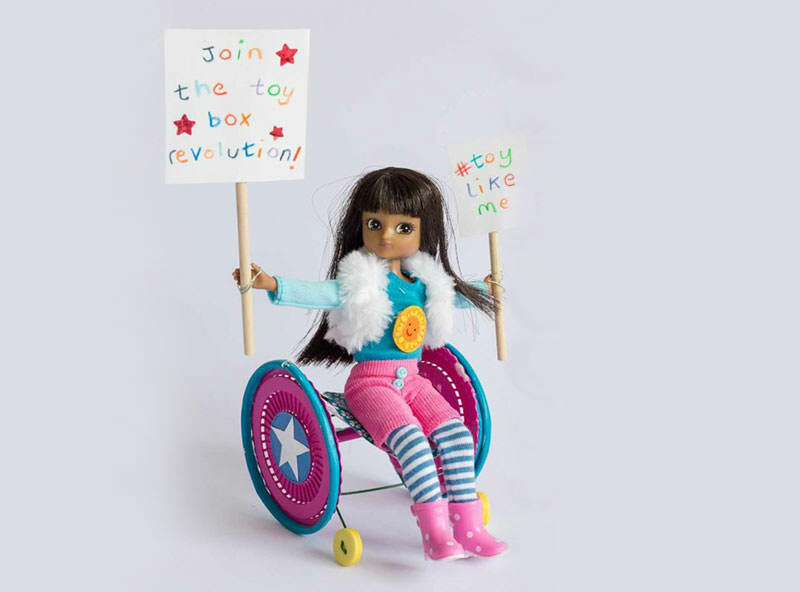 Makies, a progressive London-based toymaker that uses 3-D printers to create custom-made dolls, released a new line of dolls that positively feature disability. Super-stylish Eva uses a cane and rocks some high-fashion glasses for her visual impairment. Not only does Hetty love rock climbing, she loves you—in fact, that is what she is signing in ASL. And no subtle camouflage for Hetty; her hearing aid is look-at-me hot pink. Bright-eyed and perfect, Melissa comes complete with a hand-painted vascular birthmark. 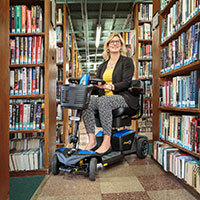 Next on Makies' accessory agenda—toy wheelchairs! "It's fantastic that our supercharged design and manufacturing process means we can respond to a need that's not met by traditional toy companies," Matthew Wiggins, the Chief Technology Officer at MakieLab, wrote on the Makies blog. "We're hoping to make some kids—and their parents!—really happy with these inclusive accessories." Since their inception, Makies has been quite comfortable on the cutting edge. Unlike many of their competitors—who can forget talking Barbie's vapid intonation, "Math is hard! "—Makies promote brains and heart. 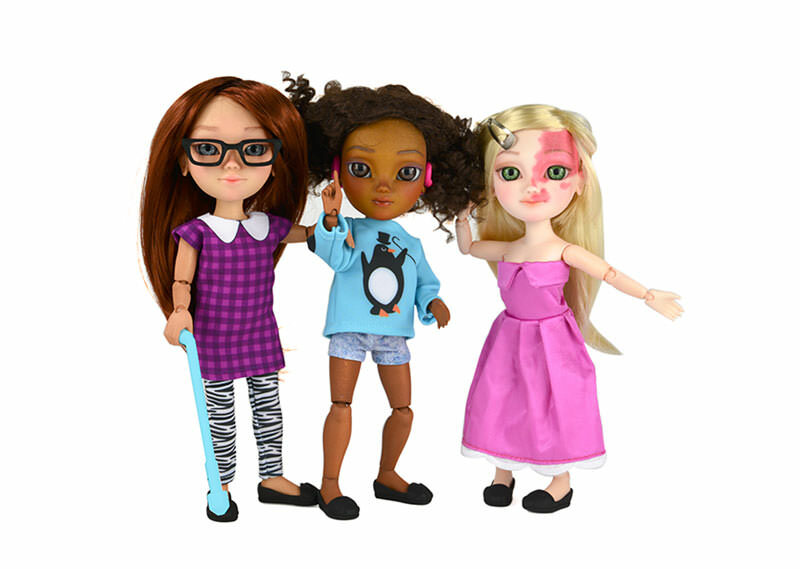 For these forward-looking dolls, "science and technology are awesome tools that empower them to change the world, and they love using their skills to make life better and happier for everyone." Who's Next to Join the Inclusive Toy Box? Though thrilled with their early victories and Makies' quick response to their challenge, Toy Like Me has no plans to rest on their laurels. They want the big boys and girls in the toy marketplace to come out and play. "Come on LEGO, Playmobil, Mattell Barbie, 770,000 UK children with disabilities (and millions more beyond) need positive toy box representation now!" they posted. While it's true that major toy manufactures have dabbled in portraying disabilities, most agree that efforts have been lackluster at best. Playmobil's elderly man in a wheelchair being pushed by a young blond woman doesn't really speak to a 6-year-old with SCI. 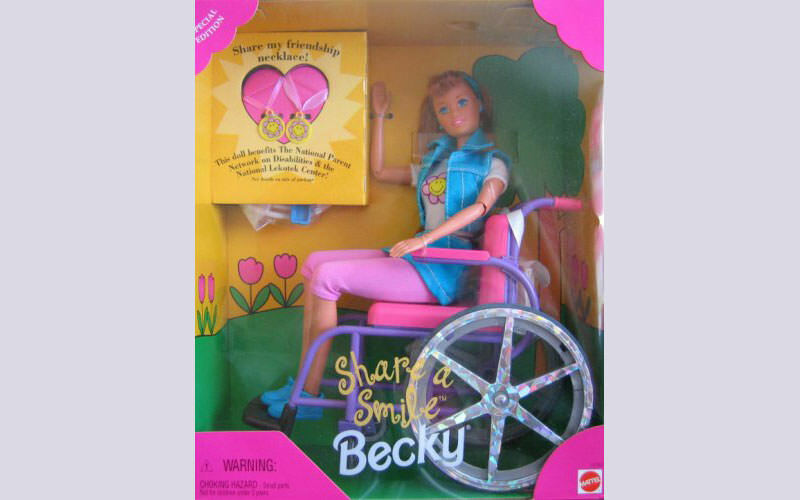 Mattel's wheelchair-using "Share a Smile Becky" Barbie doll was fraught with design problems and ultimately discontinued. In a pitifully ironic toys-imitate-life scenario, the original wheelchair Barbie could not fit through the front door of the Barbie Malibu Dream House. 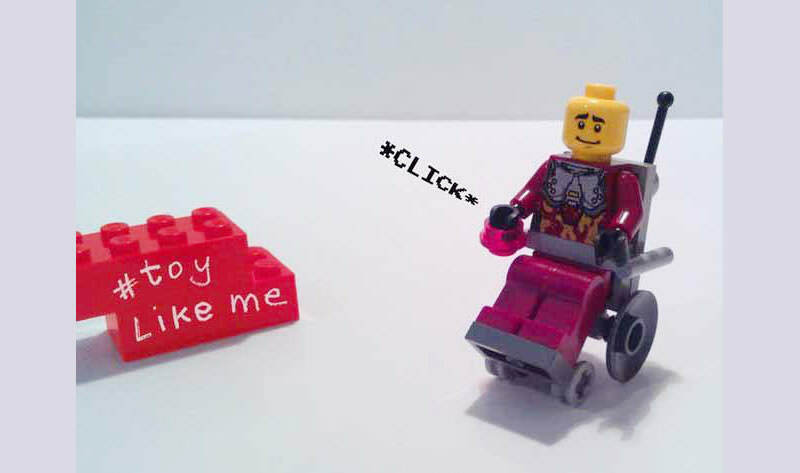 For more on the Toy Like Me campaign, visit www.facebook.com/toylikeme. For more on Mackies, visit www.mymakie.com.